Ashoka Restaurant Kolkata is located near Esplanade Metro (Chowringhee) and one of the best restaurants with quality food in Kolkata. Those who are looking for good hotels & restaurants in Kolkata they are advised to visit Ashoka Restaurant Esplanade Kolkata. 1. Ashoka Restaurant has an awesome ambience with AC & Non-AC facility inside. 2. Ashoka Restaurant is a Multi-Cuisine restaurant with delicious foods that are wallet friendly. Chinese dishes, South Indian foods, Punjabi dishes, Biriyani and other delicious dishes will definitely make you comeback. 3. Ashoka Restaurant provides Home Delivery facility available within the mentioned area. 4. 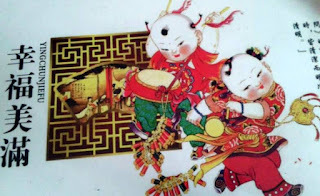 Banquet available for celebrations at cheap rent. 5. Exclusive dining hall for private parties and conferences along with cool & comfortable family ambiance. • Where is Ashoka Restaurant Esplanade in Kolkata? - Address of Ashoka Restaurant Esplanade: 3B Chowringhee Road, Near Metro, Kolkata. - Phone contact number of Ashoka Restaurant Esplanade Kolkata: 033-2228-2248. Zeeshan Restaurant Kolkata is located near Desapriya Park and one of the best restaurants with quality food in Kolkata. Those who are looking for good hotels & restaurants in Kolkata they are advised to visit Zeeshan Restaurant Desapriya Park Kolkata. 1. Zeeshan Restaurant has an awesome ambience with AC & Non-AC facility inside. 2. Zeeshan Restaurant is a Multi-Cuisine restaurant with delicious foods that are wallet friendly. Chinese dishes, South Indian foods, Punjabi dishes, Biriyani and other delicious dishes will definitely make you comeback. 3. Zeeshan Restaurant provides Home Delivery facility available within the mentioned area. 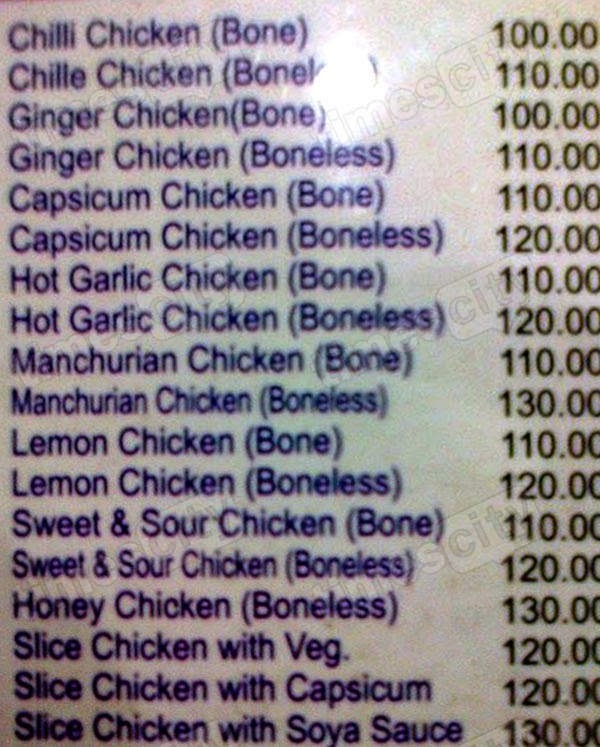 • Where is Zeeshan Restaurant Desapriya Park in Kolkata? 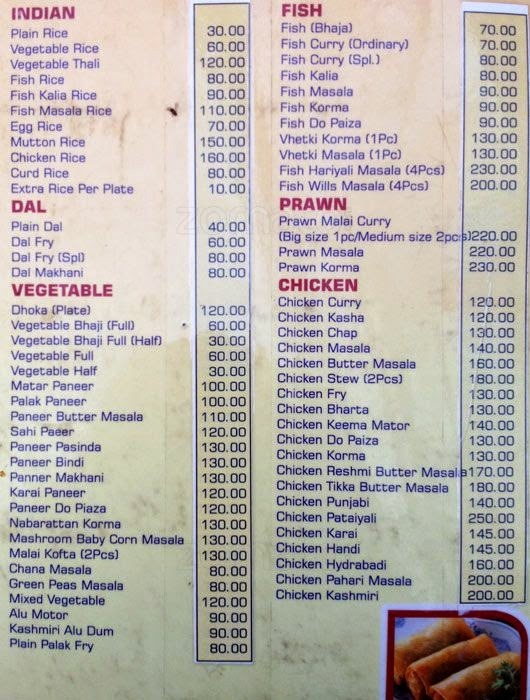 - Address of Zeeshan Restaurant Desapriya Park: 187, Sarat Bose Road, Desapriya Park, Kolkata. - Phone contact number of Zeeshan Restaurant Desapriya Park Kolkata: 033-2280-6842. Zeeshan Restaurant has another Restaurant near Park Circus Tram Depot – So whichever is closer to you; should be visited. Zeeshan Restaurant Park Circus of Kolkata is located near Park Circus Tram Depot and one of the best restaurants with quality food in Kolkata. Those who are looking for good hotels & restaurants in Kolkata they are advised to visit Zeeshan Restaurant Park Circus Kolkata. 2. Zeeshan Restaurant is a Multi-Cuisine restaurant with delicious foods that are wallet friendly. • Where is Zeeshan Restaurant Park Circus in Kolkata? - Address of Zeeshan Restaurant Park Circus: 17, Syed Amir Ali Avenue, Park Circus, Kolkata. - Phone contact number of Zeeshan Restaurant Park Circus Kolkata: 033-2280-6842. Zeeshan Restaurant has another Restaurant near Desapriya Park – So whichever is closer to you; should be visited. Shiraz Restaurant & Caterers of Kolkata is located at Park Street (heart of city Kolkata) and one of the best restaurants with quality food in Kolkata. Those who are looking for good hotels & restaurants in Kolkata they are advised to visit Shiraz Restaurant & Caterers Park Street Kolkata. 1. Awesome ambience with AC & Non-AC facility inside. 2. Multi-Cuisine restaurant with delicious foods that are wallet friendly. 3. Home Delivery facility available within the mentioned area. • Where is Shiraz Restaurant & Caterers in Kolkata? The address of Shiraz Restaurant & Caterers is ‘135 Park Street, Kolkata-17’ and the phone contact number of Shiraz Restaurant & Caterers Park Street Kolkata is 033-22866806 / 033-22866795 / 9903699548. You may come down to Park Street Metro Station and ask for Shiraz Restaurant. Call 9831599258 number to book catering service of Shiraz Restaurant & Caterers. Are you looking for the best restaurant of Ashok Nagar, Kalyangarh area of Ashoknagar / Habra in North 24-Pargans of West Bengal? Do you really want to spend money for the best & delicious food at the best Food Court (Restaurant) in Ashok Nagar? Then your road should go Remix Food Court, which is the best Restaurant of Ashok Nagar, Kalyangarh, Habra area of North 24-Pgs district of West Bengal. Remix Food Court Restaurant Ashok Nagar Habra, established by Prayag Group in 2011, is the place with great environment & quality foods of offer at cheap price. Remix Food Court Restaurant Ashok Nagar Habra is the restaurant that can’t miss out whenever you want to taste something outside from your home. Let’s check out the features & facilities & Available Foods of Remix Food Court Restaurant Ashok Nagar Habra below. 1. Let me tell you first of all that Remix Food Court Restaurant Ashok Nagar Habra has their Restaurant in the ground floor and the floors above (1st Floor & 2nd Floor) are given on rent for parties & events. So, it’s a community Banquet hall for people who want to celebrate their events and also Restaurant at the ground floor for everyone. 2. Centrally Air Conditioned Remix Food Court Restaurant Ashok Nagar Habra having skilled staffs to attend food-lovers has LED TV & Music System inside. This Television & music System will give you the pleasure of watching live TV programs during your snacks, dinner or drink and music will soothes your ear as well. 3. Ample of Car parking space available outside the Remix Food Court Restaurant Ashok Nagar Habra for free of cost. 4. Now, coming to the main thing of a restaurant, i.e., the food quality, which is awesome & very little oil used to cook. Starting from Indian, Chinese, Continental, Punjabi, South Indian, to Mocktail every kinds of food is available at Remix Food Court Restaurant Ashok Nagar Habra. Here are some delicious dishes of Remix Food Court Restaurant Ashok Nagar Habra that you should taste – Mutton Biriyani, Chicken Tikka, Butter Naan, Lapcha Parota, Masala Dhosa, Prawn Chowmin, Chicken Roll, Paneer Makhni, Momo, Mozito Mocktail etc etc. 5. Parcel of any dishes and also Home Delivery facility also provided by Remix Food Court Restaurant Ashok Nagar with a minimum extra charge. • Address of Remix Food Court Restaurant Ashok Nagar Habra: - 301/1 Ashok Nagar, Habra, North 24-Parganas, West Bengal, Pin-743222. • Phone contact number of Remix Food Court Restaurant of Ashok Nagar, Habra: - 97329-04019 / 03216222766. Remix Food Court Restaurant Ashok Nagar Habra is situated near to Sanhati Park of Ashok Nagar and there are lots of Autos (Habra-Ashoknagar route), Buses (MN-3, MN-5, Habra-Naihati, Habra-Barrackpore route) and so many of Van-Rickshaws available to come to Remix Food Court Restaurant Ashok Nagar Habra. 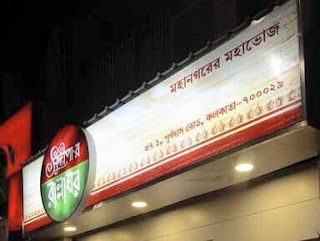 Food lovers of Ariadaha, Belgharia, Kamarhati, Panihati, Agarpara area of North Kolkata need not to go to Central Kolkata to have delicious foods, because Foodies Hut Multi-Cuisine Family Restaurant is there beside B.T. Road at Agarpara Bus Stoppage. So, those who are looking for Family Restaurants having Chinese, Indian, Tandoors & Biriyani dishes nearby Belgharia, Kamarhati, Ariadaha, Panihati can now come to Foodies Hut Restaurant of Agarpara Kolkata. - Foodies Hut is a multi-cuisine Family Restaurant in Agarpara Kolkata, it means under one roof customers can get various recipes (meaning of multi-cuisine). Foodies Hut Restaurant Kolkata serves Indian Dishes, Chinese Recipes, Tandoors & Biriyani etc. - Foodies Hut Restaurant Agarpara Kolkata do take Indoor and Outdoor Party (Occasion) orders. - It’s an Air-Conditioned Restaurant with excellent interior ambience that will make you proud when you giving treat to your family or others. • Foodies Hut Restaurant Agarpara Kolkata Address: - B.T. Road, Tentultala, Agarpara, Kolkata-109. • Foodies Hut Restaurant Agarpara Kolkata Phone number: - 033-65336383 / 9230656500. So, when you are coming to Foodies Hut Restaurant on B.T. Road (Agarpara) with your family to taste the delicious various dishes? Vinegar Food Zone, Kolkata is the Multi-Cuisine Restaurant in Kolkata having Delicious Indian, Chinese & all types of continental dishes for the food lovers with an excellent interior ambience and most importantly within the price tag of every one. 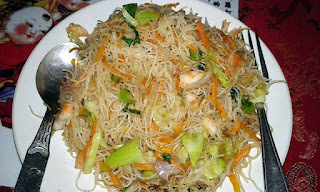 People who are in search of a good Restaurant nearby Ruby, Kasba, Mukundapur, EM Bypass area of South Kolkata and want to know the best Restaurant with Indian / Chinese & Continental Cuisine in South Kolkata’s Ruby, Kasba, E.M. Bypass, Hiland area; can now easily go for a evening snacks or dinner at Mukundapur Vinegar Food Zone Restaurant South Kolkata. Mukundapur Vinegar Food Zone Restaurant South Kolkata Address: Mukundapur E.M. Bypass, 147 Mukundapur, Opposite of Shankara Netralaya Eye Hospital, Kolkata-99. Mukundapur Vinegar Food Zone Restaurant South Kolkata Phone number: 033-32212783 / 9163331130. 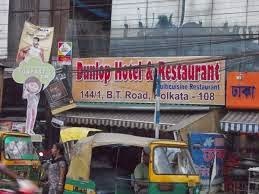 People who are in search of a good Restaurant nearby Dumdum Nagerbazar, Chiriamore, Sinthi More area of North Kolkata and want to know the best Restaurant with Indian / Chinese & Continental Cuisine in North Kolkata’s Dumdum, Sinthi, Chiriamore, Nagerbazar area; can now easily go for a evening snacks or dinner at Dumdum Vinegar Food Zone Restaurant North Kolkata. Dumdum Vinegar Food Zone Restaurant North Kolkata Address: Ashabari, 7A/I, Motijheel Avenue, Near Sikhsa Niketan School, Dumdum, Kolkata-74. Dumdum Vinegar Food Zone Restaurant North Kolkata Phone number: 033-25471120 / 9163331127. 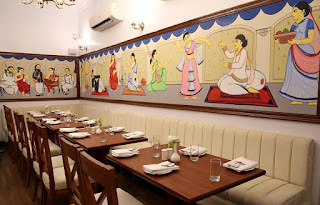 If you are looking for restaurants nearby Park Circus, Minto Park, CIT Road areas in Kolkata then you should visit Chhote Nawab Restaurant Park Circus Kolkata which serves so many delicious recipes from the Awadhi platter for a perfect meal or dinner every day. Normally, Awadhi Cuisine is known for Aromas & rich Taste that has strong influence of Mughal Era. Chhote Nawab Restaurant Park Circus Kolkata offers both vegetarian & non-vegetarian dishes like Punjabi dishes, Hyderabadi recipes, South Indian, Bengali recipes, Chinese etc. But, Chhote Nawab Restaurant Park Circus Kolkata is known for Nawabi Foods like Mutton Glawati Kabab, Mutton Kakori Kabab, Chicken Dum Biriyani, Mutton Dum Biriyani, Firni etc. The excellent ambience with impeccable service offered by the trained executives will surely amaze your visit at Chhote Nawab Restaurant Park Circus Kolkata which is one of the popular restaurants in South Kolkata. Chhote Nawab Restaurant Park Circus Kolkata offers a wide range of choices in delicious dishes every day. The quality of the food, cheap price of menu and the ambience makes Chhote Nawab Restaurant of Kolkata the perfect place to have dinner or evening snacks. 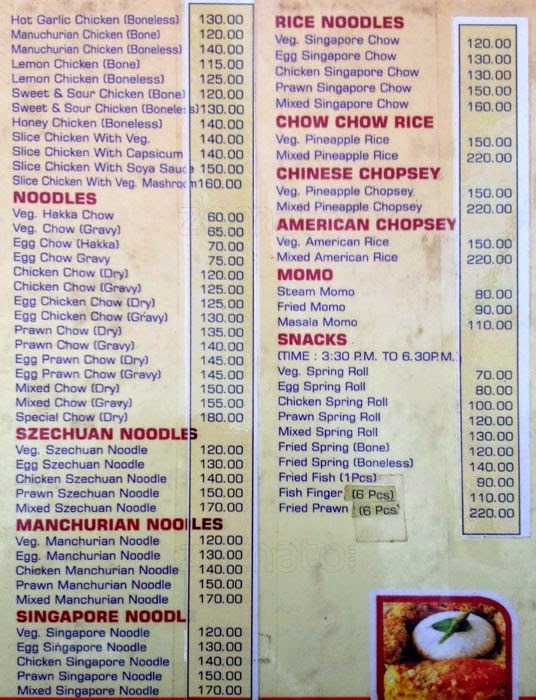 Where is Chhote Nawab Restaurant in South Kolkata? If you are thinking of visiting Chhote Nawab Restaurant Park Circus Kolkata; then please come down to Park Circus where Chhote Nawab is waiting for you. 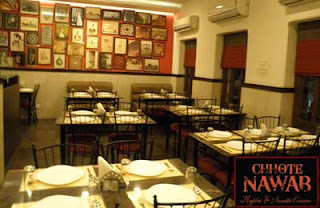 Address of Chhote Nawab Restaurant Park Circus Kolkata: 7, Park Circus Avenue, Kolkata-17. During the festive seasons and weekends; it’s recommended to book your table at Chhote Nawab Restaurant Park Circus Kolkata prior coming because of huge rush. If you want to know that phone number of Chhote Nawab Restaurant Park Circus Kolkata to book table through phone call then note down the phone contact number of Chhote Nawab Restaurant Park Circus Kolkata 9836987676. Chhote Nawab Restaurant Park Circus Kolkata remains open between 12.30pm and 4pm and again from 7:15pm to 11:15pm every day. Are you looking for high class Caterers in Kolkata for arranging foods in your special occasions? Are you in search of a good reliable cheap quality Catering Services in Kolkata? There are so many of Caterers in Kolkata manages high-profile or mid-low profile occasions with excellent satisfaction and Haju’s Darbar (Haju’s Caterers) of Kolkata is one of those best Caterers in Kolkata located on Bentinck Street but provides Catering Service through out Kolkata Howrah. Phone contact number of Haju’s Darbar Kolkata Restaurant and Caterers: 033 2225 9884 / 9830452437 / 9830452427. One of the best Caterers in Kolkata Haju’s Darbar serves quality delicious veg / non-veg dishes and the behaviors of Haju’s Darbar Catering Executives are also very friendly-calm yet full of professionalism. Haju’s Darbar Catering Services in Kolkata is very efficient for designing their service counters with latest designed utensils in the party venue. If any one looking for giving the responsibility to the best Caterers in Kolkata then it should be Haju’s Darbar of Kolkata because of their Food Quality and Service ethics. Apart from Catering Services in Kolkata; Haju’s Darbar has their Restaurant at Bentinck Street named Haju’s Darbar Restaurant Kolkata where you all can go to taste delicious dishes at cheap price rate in the beautiful ambience. Peoples are requested to call up the above mentioned contact number of Haju’s Darbar Restaurant and Caterer Kolkata to know the latest Catering Plate Charges Rate in Kolkata of Haju’s Darbar of various Veg/Non Veg Dishes.